SR 64 at Greyhawk Boulevard/Pope Boulevard: Construction project: Crews are constructing an interim improvement at the intersection of SR 64 and Greyhawk Boulevard/Pope Road with a continued focus on safety. The interim improvement consists of temporarily closing the left turn from westbound SR 64 onto Pope Road. The contractor is Ajax Paving Industries of Florida, Inc.
On Monday, October 1 and Tuesday, October 2, during daytime and nighttime hours, motorists should expect the inside eastbound and westbound lanes closed at the intersection. Motorists should also expect the eastbound to northbound left-turn closed during the work on this project. Drivers should use caution while crews work in the intersection. Laurel Road at the Legacy Trail Crossing: Construction project: Crews are constructing a pedestrian bridge along the Legacy Trail over Laurel Road. Please be aware of construction vehicles entering and leaving the construction zone. Both northbound and southbound trail traffic are now being detoured to the west along the signed detour route. Both sidewalks on the north and south side of Laurel Road are now closed. Laurel Road will be closed at the bridge with traffic detours in place from 9 p.m. tonight/overnight, Thursday, June 7 to 5 a.m. tomorrow morning Friday, June 8. Traffic will be detoured along Albee Farm Road and Forest Street to US 41. Denson Construction, Inc. is the contractor for the bridge. Expected completion is fall 2018. Ewell Road will CLOSE at the Poley Creek bridge, starting Tuesday, May 29, and will remain closed through the end of summer. Motorists should follow the posted detour using Lunn Road, West Pipkin Road and Yates Road to detour around Poley Creek. Trucks will be directed to detour using SR 37 (South Florida Avenue), Shepherd Road and County Line Road. A temporary signal has been placed at the eastern Lunn Road intersection. The signal will remain on flash mode until the detours are in place, Tuesday, May 29, when it becomes fully operational. Use extreme caution until everyone is used to the new signal and traffic pattern and be prepared to stop. This project includes replacing the bridge over Poley Creek, adding traffic signals and turn lanes at both Lunn Road intersections, resurfacing and upgrading signal equipment at Old Highway 37, drainage improvements, and milling and resurfacing in various locations. The contractor is SEMA Construction. Expected completion is Early 2019. 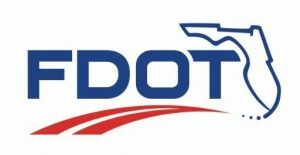 The Florida Department of Transportation (FDOT) will be making repairs to the railroad crossing on SR 64 (Manatee Avenue West) at 5th Street West. The repairs require SR 64 (Manatee Avenue West) be closed to traffic at 5th Street West. The closure begins at 11 p.m. Thursday, May 31 and will remain in effect for approximately four weeks. Please follow the established detour routes and plan additional travel time. US 41 southbound traffic to westbound SR 64: Use 3rd Avenue West. US 41 northbound traffic to westbound SR 64: Use 9th Avenue West. SR 64 westbound traffic: Use US 41 (S Tamiami Trail) and 9th Avenue West. Temporary two-way traffic (east/westbound) on SR 64 (Manatee Avenue West) between 5th Street West and 7th Street West: Two-way traffic (east and westbound) will temporarily be implemented on SR 64 (Manatee Avenue West) between 5th Street West and 7th Street West for business access. Please use caution as this is a change from the current one-way traffic pattern. FDOT’s US 41 Roundabouts project will require a temporary street closure at 10th Street (West side only) and US 41 in Sarasota County. The closure will occur on Tuesday night/overnight May 15 between 7 p.m. and 6 a.m. while crews work to cap/plug a retired water line. Motorists may use Boulevard of the Arts as an alternate route to access 10th Street. Expect noise from concrete cutting saws, earth moving equipment, backup alarms, pumps etc. Improvements being made as part of this project consist of reconstructing the signalized intersections and replacing them with roundabouts, enhancing connectivity, circulation and safety. US 41 will be widened between the two intersections and will include bike lanes as well as dedicated turn lanes, a 10-foot sidewalk along the west side, and a 6-foot sidewalk along the east side. Other improvements include raised islands for pedestrian refuge at the intersections of US 41 at 10th Street and 14th Street, pedestrian signals, LED street lights, landscaping, and City of Sarasota utility and underground drainage structure replacements. Estimated completion is spring 2020. The contractor is IBT Construction LLC.